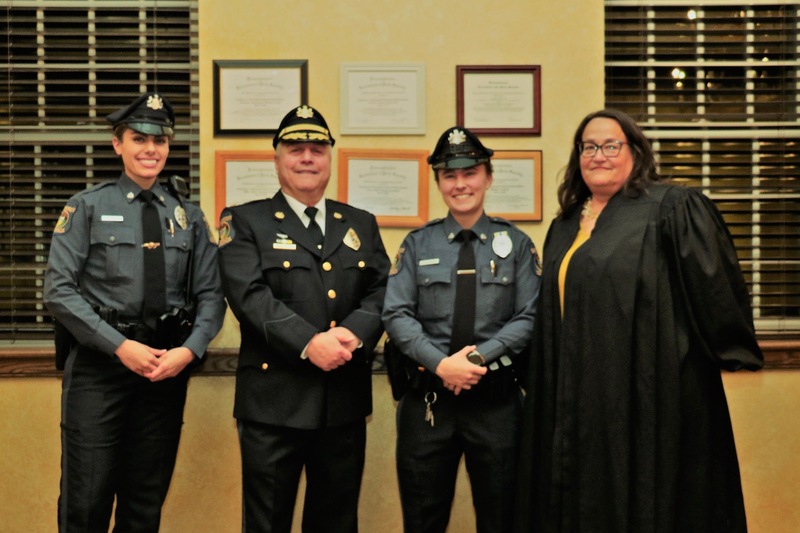 Gina Ferzetti and Megan Klosterman were sworn in as Solebury Township police officers by Magisterial District Judge Maggie Snow before the Solebury Board of Supervisors at their public meeting Tuesday evening. 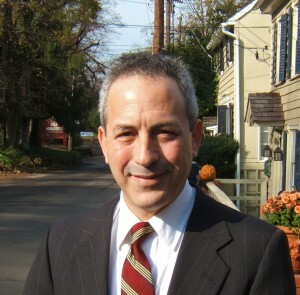 Originally from Ridley, Gina Ferzetti graduated Ridley High School in 2013. 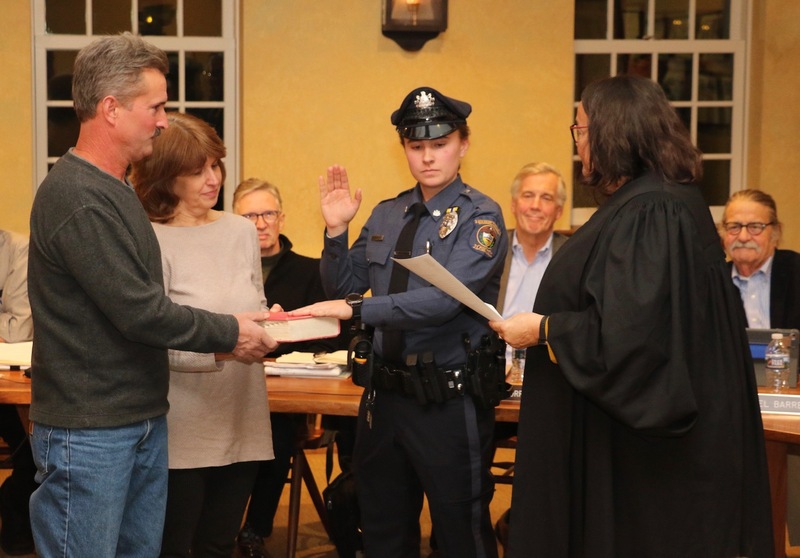 Ferzetti completed her Act 120 Certification at Delaware County Community College Police Academy, graduating in 2015. 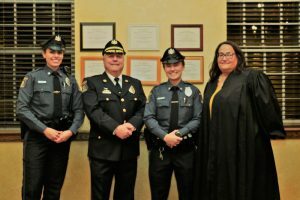 She started her law enforcement career at Bethel Township Police Department in Delaware County in early 2016 as a part time police officer, and took a full-time position at Temple University Police Department later that year. Officer Ferzetti has been employed as a part time police officer with Solebury Township since February 2018. 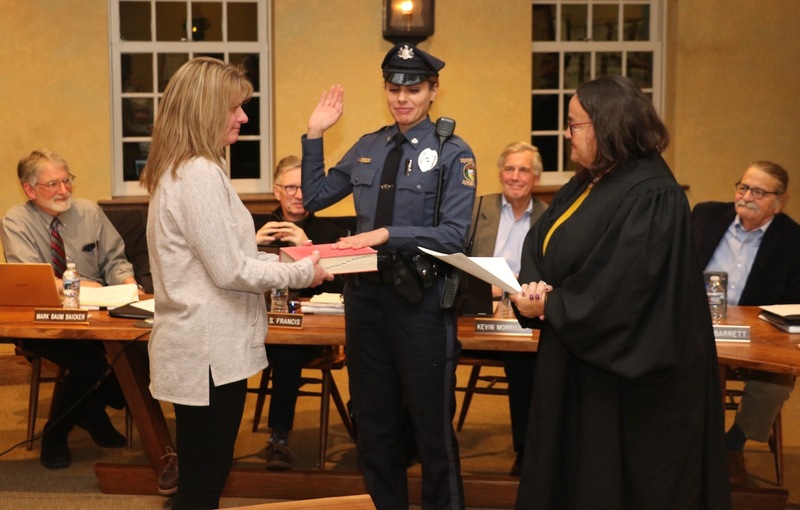 Megan Klosterman is a native of Upper Dublin, and attended Upper Dublin High School, graduating in 2013. She went on to Penn State, where she graduated with a degree in Criminal Justice in 2015. Klosterman completed her Act 120 Certification at Temple Police Academy. She is a certified firefighter, vehicle rescue technician and emergency medical technician with the Fort Washington Fire Company. 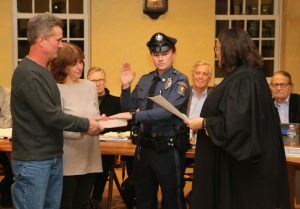 Officer Klosterman has been employed as a part time police officer with Solebury Township since October 2017.